Over the weekend, I saw something that I found really cool. No, it wasn’t another The Last Jedi poster, nor was it Neopixel-related (I really like pixel-based sabers, if you couldn’t tell). Rather, it was a post by One Replicas on Instagram announcing a new line of saber hilts. 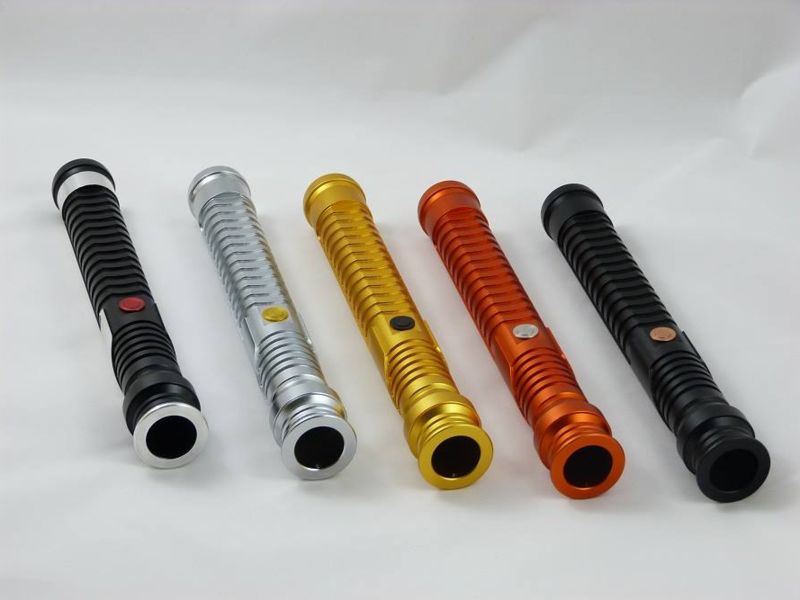 These hilts, called the SuperStunt series, are simplified, stunt versions of popular Star Wars film hilts. The first of the bunch to be released will be a Qui-Gon replica and despite being “simplified”, it looks absolutely awesome. Examples of the first SuperStunt hilts, the SSQy line. The SSQy, as One Replicas is calling it, will be offered in five different colors (silver, black, red, gold, and silver/black). Unlike other Qui-Gon sabers, which rely on multiple parts – to include a separate shroud – the SSQy is entirely one piece. With the silver/black version, you can barely tell that it’s not a traditional Qui-Gon build. Aside from the SSQy, One Replicas apparently intends to release several character-themed sabers in the SuperStunt line. They’ll feature 25mm interior diameters and 1” blade holders. Those are common sizes for both chassis and blades, so that’ll be a relief for many enthusiasts. It’s also worth mentioning that One Replicas is working on super-low profile, 12mm switches and the switch hole in the SSQy’s body is threaded to accept the switch’s threads. Perhaps most importantly of all, they SuperSith sabers will be reasonably priced. One Replicas has stated that they’ll be £70 shipped. For my fellow Americans, that’s right at $91.50. Shipping will likely throw that over $100, but for a Qui-Gon Jinn replica that looks this good, it’s fantastic. It certainly looks better than Ultrasabers’ Consular and will likely be cheaper with shipping as well. You can bet I’ll be building on these SuperStunt models.